Moreover, the SEC’s order is concerning because it invokes a standard – “Chiquita … failed to maintain a system of internal accounting controls to ensure that [the subsidiary’s] books and records accurately and fairly reflected the disposition of [the subsidiary’s] assets” (emphasis added) that does not even exist in the FCPA. Rather, the FCPA’s internal controls provisions state that an issuer like Chiquita shall devise and maintain a system of internal accounting controls sufficient to provide reasonable assurances that” certain specified financial objectives are met. The Chiquita enforcement action is also interesting from the standpoint that it once again demonstrates – as frequently highlighted on these pages – that foreign trade barriers and distortions are often the root cause of FCPA scrutiny and enforcement. Indeed, in the Chiquita action the facts begin with the following: “Under Colombian law, companies are required to hire licensed customs brokers who interact with customs officials on behalf of the company.” From a risk standpoint, that is obviously a slippery situation. Make sure to read this entire post because the origins of the Chiquita enforcement action are quite interesting. “Chiquita’s Colombian operations consist of, among other things, a number of banana farms located throughout the country and an import/export port facility located in Turbo. The Turbo port facility is owned and operated by [C.I. Bananos de Exportacion S.A.] Banadex, an indirect wholly-owned subsidiary of Chiquita [that indirectly reports to Chiquita]. Beginning in 1993, the Colombian government licensed the Turbo facility as a location where goods could be stored pending inspection by customs officials. In 1995, the Colombian government issued a decree requiring all current license holders to submit renewal applications. Banadex learned of the decree through CEA [described as a Colombian entity licensed by the Colombian government to act as an intermediary between corporations and Colombian customs officials], its intermediary with Colombian customs. Under Colombian law, companies are required to hire licensed customs brokers who interact with customs officials on behalf of the company. In September 1995, the Banadex employee in charge of material and supplies advised Banadex management that renewal of the port facility’s customs license was in jeopardy because of two previous citations for failure to comply with Colombian customs regulations. The employee further advised management that replacing the Turbo facility would cost approximately $1 million. Without the knowledge or consent of any Chiquita employee and in contravention of Chiquita’s policies, Banadex’s chief administrative officer authorized Banadex’s CEA agent to make a payment to Colombian customs officials to obtain the license renewal. The chief administrative officer directed Banadex’s security officer and controller to make and process the payment. Banadex’s CEA agent later advised the company that for the Colombian peso equivalent of approximately $30,000 the citations would be overlooked and the license renewal granted. Banadex agreed to pay two installments – approximately $18,000 in advance and the remainder after renewal. Both installments were made by Banadex’s security officer from a Banadex account used for discretionary expenses. The initial installment was incorrectly identified in the company’s books and records as a maritime donation (“Donacion Maritima”). The second installment was incorrectly identified as relating to a maritime agreement (“Acuerdo Maritima”). Banadex did not request permission from, or otherwise inform, any Chiquita employee within the United States regarding the transaction. Chiquita’s policies and procedures contain strict guidelines regarding the use of a discretionary expenses account. Banadex did not comply with Chiquita’s procedure requiring that Banadex’s books and records accurately reflect the transaction. During 1996, Chiquita’s internal auditing staff made management aware of a number of instances in which Banadex had not provided documentation required by Chiquita’s internal accounting control procedures regarding discretionary expenses. 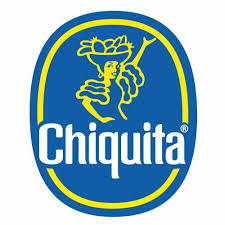 Chiquita had strict policies prohibiting payments of the kind made to the customs officials. To monitor and enforce those policies, Chiquita required quarterly identification and disclosure of all payments to government officials or employees, political candidates, or political parties. Contrary to Chiquita’s established procedure, Banadex employees failed to identify and disclose the payment to customs officials on the disclosure forms submitted for the relevant quarters. Without admitting or denying the SEC’s findings, Chiquita agreed to cease and desist from committing or causing future violations of the FCPA’s books and records and internal controls provisions. In 2010, as part of the Dodd-Frank Wall Street Reform Act, Congress granted the SEC broad authority to impose civil monetary penalties in administrative proceedings. 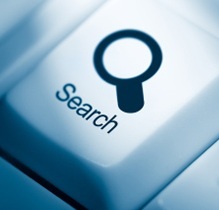 Prior to this, the SEC needed to file a federal court action to seek civil monetary penalties. Thus, the Chiquita enforcement action also included this settled civil complaint based on the same allegations. Without admitting or denying the SEC’s allegations, Chiquita agreed to pay a $100,000 civil penalty. Well, actually there was much speculation widely reported by major media sources as to the origins of the enforcement.